Recognized in The Forrester Wave™: Endpoint Detection and Response, Q3 2018 for strong threat hunting, detection and response capabilities to reduce dwell time and thwart sophisticated threat actors. You need advanced analytics and reporting to identify and stop attacks before they become breaches. 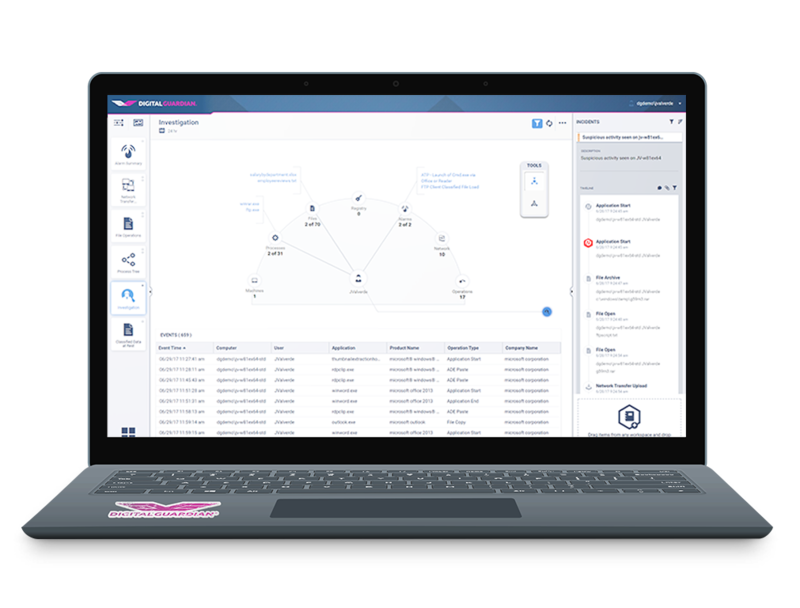 Enable your InfoSec analysts, threat hunters, and incident responders to protect your business. Digital Guardian is a “leader” in the Gartner Magic Quadrant for Enterprise DLP for the 5th time in a row. Welcome to The convergence of data loss prevention and endpoint detection and response delivered in the cloud. Start with the enterprise DLP consistently recognized as a leader by both Gartner and Forrester. Network, endpoint, storage, cloud we’ve got you covered. Replace point products with one solution that puts your most sensitive information at the center of all activity monitoring, threat detection and response activities. Purpose-built, cloud-native architecture, leverages streaming data from DG endpoint agents and network sensors to provide deep visibility into system, data and user events. Get the latest edition of this eBook to learn about the current state of DLP, how to evaluate vendors, and how to succeed with your DLP program. 451 Research presents the business case for data classification, the main classification types, and why it will improve your security & compliance strategy. Learn how to develop a data loss prevention strategy - including best practices and policies.